Carpet bowing skewing and other pattern alignment issues are one of the most difficult task a carpet installer will face. Pattern distortion that is manufacturer related such as bow and skew, usually occurs during the finishing, or backing application process. While less common, carpet bowing and skewing can also occur during tufting or weaving. Carpet bowing skewing are difficult issues requiring a skilled installer. When it comes to a cut pile carpet without a pattern, many residential installers perform a remarkable installation. Residential carpet installers that do not work with patterned carpet on a regular basis will usually find working with patterns challenging. When faced with pattern issues of carpet bowing, skewing and pattern alignment these installers are often at a loss. Additional time will usually be required when working with a product that has pattern alignment issues. The seller of the product should allow for this extra time when making the sale. When a product has severe carpet bowing, skewing or other issues the manufacturer will often make reimbursement for the additional time to correct. Usually the manufacturer will need to be advised of the issues in advance of or during the installation and not at a later date. While an experienced carpet installer will bring the pattern into alignment perfection is not always possible. 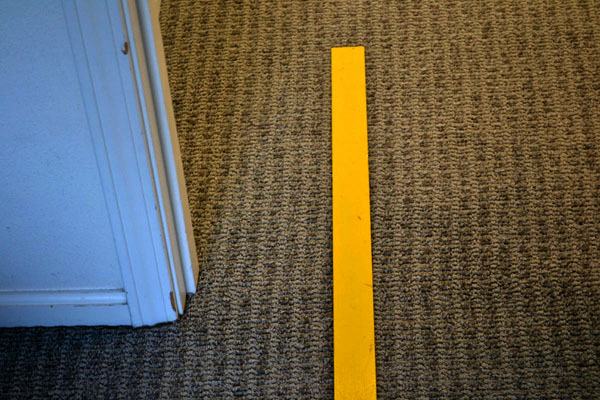 Even with tight tolerances, seams may be visible and, if the walls are not square, the carpet pattern may appear to run off rather than run parallel with the wall or to the adjacent seam. 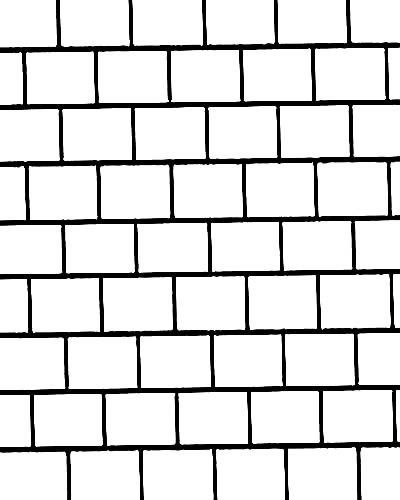 Set Carpet Match Pattern, the figure of the pattern design matches straight across the width (side-to-side). 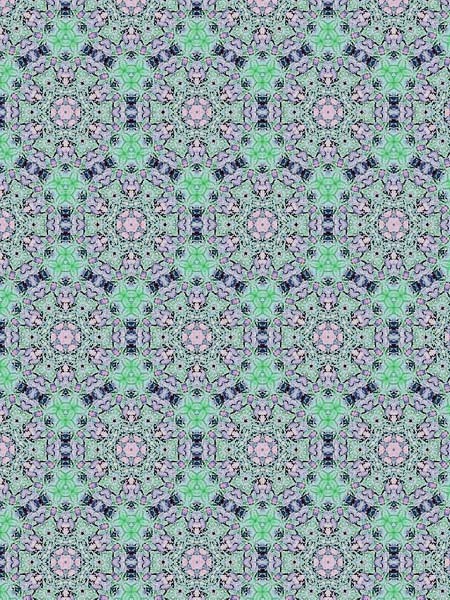 Drop Carpet Match Pattern, the figure of the pattern design matches in the middle of the design. During the pattern matching of a carpet the installer should always follow the manufacturing guidelines for the product they are working with. It is important for the carpet installer to be aware that not all carpet manufacturers tolerances are the same. Pattern Bowing: The pattern will sag at the center. Viewing the carpet across the width, the pattern distortion is seen as wavy or crooked lines of pattern. This condition can occur in both pattern and non-patterned carpets. Industry tolerance for pattern bowing is commonly 1-inch in 12-feet. Not all manufacturers have the same tolerance. As an example, Masland is 3/4-inch in 12 feet while Shaw is 1.5-inch in 12 feet. Common Cause – Bowing usually occurs when carpet is not perfectly straight as it is being manufactured. 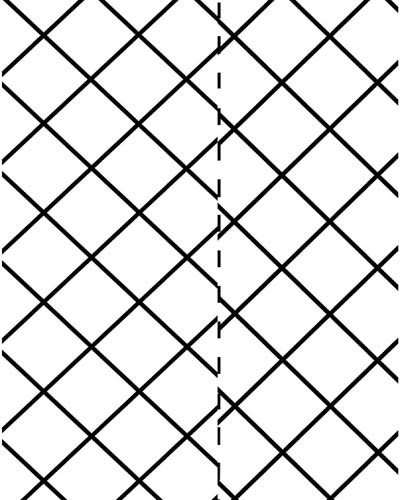 Pattern Skewing (Bias): With skewing the pattern is out of square with portions of the tufted or printed pattern deviating from a straight line. There is not an industry tolerance of pattern skew, most manufactures seem to be at 1.5-inch in 12 feet though you will find others as much as 2-inches in 12-feet. Check manufactures guidelines for the carpet being installed. Common Cause – This condition occurs when the carpet face yarn is bonded to the secondary backing in such a way that the face yarn is not square with that backing. The skew is noticeable as the pattern on one side of the roll is not in line with the pattern on the opposite side. 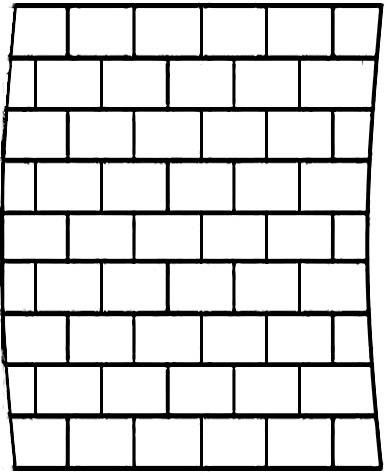 Pattern Elongation (run-off): With pattern elongation the patterns size may vary in length or width from one match to the other. 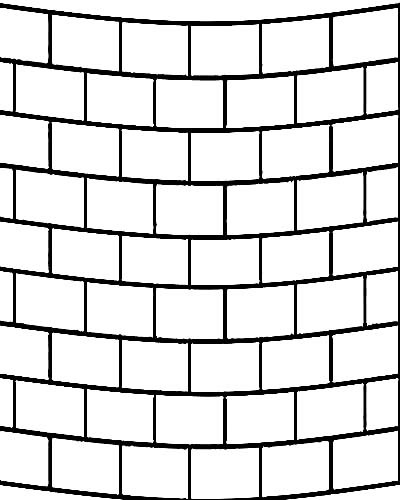 The pattern appears as if it is growing along one side of the seam or shrinking on the other. The industry tolerance is routinely 1-inch in 10-feet or 1.5-inches in 15-feet. Check manufactures guidelines for the carpet being installed. Common Cause – Pattern Elongation (pattern run-off) is the result of a lack of equal tension across the product during manufacturing or at the time the secondary backing is applied. Trueness of Edge (Edge Deviation Bow in Length): With a lengthwise bow in the pattern, the pattern does not appear in a straight lengthwise line. This can be measured between common pattern points along carpet edge at or very close to edge to be trimmed for seaming. The recommended tolerance is 1/2-inch in 12-feet. May differ per manufacturer. Common Cause – The pattern is not aligned on the tenter hooks during the application of backing or the sizing process. Attention: Before you start, read this bulletin and other applicable literature pertaining to the installation of this carpet. Any topics not specifically covered in this bulletin should be directed to the Technical Services Center. Warranties specifically exclude claims involving carpet which has been cut and installed with visible manufacturing defects. For the installation of carpet, manufacturers often refer carpet installers to the installation guidelines of the CRI – Carpet and Rug Institute. Even with these manufactures they will usually have additional installation guidelines for some of their products. The manufactures guidelines on Pete’s article for a stretch-in carpet and a glue-down carpet may refer to different tolerances so again a carpet installer must be familiar with the installation guidelines for the product being installed. Carpet is a textile product and manufacturers establish tolerances for their products. Most manufacturers consider their tolerances to be within normal limits for the product and do not consider them to be manufacturing defects. I’ve never been much of a handyman, so I don’t think I would be very good at carpentry. I really like the drop pattern match design that you’ve shown on this article. If I ever needed a rug for my kitchen, I would get one that looked like that. Great information about bow, skew, etc. Keep up the great work. Thank you Clayton, appreciate the fact that you found the article on carpet bow and skew. It is always good to hear this from one of the best floor covering inspectors in Canada. I feel the carpet manufactures should do something about bowing of carpet . Iam installer for 40 yrs and is only getting worse . If unr purchasing 1st quality carpet than it should be made right . Technology now a days should not be a issue . Otherwise they need to lower there prices if it can’t be made right. All I can say thanks for the power stretcher and knowledge. I too am bothered by the degree of bowing seen with carpet. On the other hand, manufacturers are continuing to look for better ways of production that do include reduction of bowing and yet they have not solved the problem. It is good there are installers like you that have the knowledge and equipment to work with bowed carpet. Unfortunately our industry in further behind in developing good installer than they are in developing carpet without bow. Many installers don’t even own a power stretcher. The industry needs to train installers to do quality work and to pay them good wages for that quality work. I know this is an old article, but i feel inclined to leave a comment for your information none the less. Working with commercial carpets for over 15 years i have seen a constant and pronounced decline in the quality of patterned material being produced. It is rather disheartening to know that no matter what you do, no matter how hard you try perfection is simply not possible. The sorry excuses that are given for their failure and the amount of blame they like to place on the installation process is frustrating. There are still good installers in this industry, from time to time i like to consider myself one, however our job is becoming harder all the time. Keep fighting the good fight and thank you for the information. Excellent comment. You are absolutely correct, there are many great carpet installers. Am the owner of a flooring installation company and though I know your intentions are good they come from a fairy tale land that doesn’t exist, a gradual sag down the middle of the carpet would be like a vacation from reality, most of the worst bowing occurs a foot off the edge where the seam goes and then takes ten more turns before it gets 12 feet to the other side. 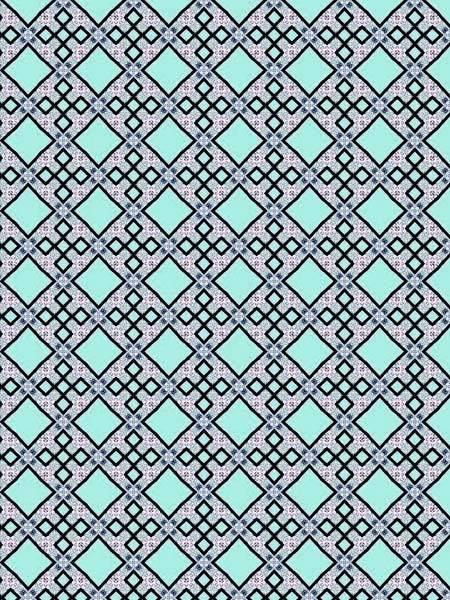 Bottom line is that it should be outlawed to try and put any straight patterns across width, needs to stay busy in that direction and anything straight should always be in the length. The conditions that carpet reaches an installer in and manufacturer problems are two entirely different things but when combined with shipping, storage and climate change issues the job becomes 50 times harder than anything you are talking about on here, or just plain impossible. Thank you for writing, we always appreciate hearing from carpet installers. Having once owned and operated a flooring installation company, myself, I understand your concerns. What we have shared in this article is not our expectations, they are the expectations of the carpet manufacturing industry and that of professional carpet installation organizations. These expectations cannot always be met to perfection. You make a good point about some of the bowing that is seen and the difficulty in correcting it. We agree, that at times the expectations placed upon the installer seem high, especially with the poor-quality control of some carpet manufacturers and the unwillingness of many in the industry to pay the carpet installer fairly for installing patterned carpet and correcting problems in bow and skew. We also find that many installers are not equipped with the proper tools and knowledge to correct even the simplest of bows and skews. We encourage installers to better educate themselves through organizations such as CFI. Jon, We love hearing from installers. You guys and gals have a difficult job out there. Many of the carpets products your have to work with are of poor quality. Way to many retailers way undercharge for labor, resulting in installers being underpaid for the extra work they often need to put into a project. Please keep on posting and sharing your thoughts with us. This helps others and makes us try to do a better job also.